With reference to one of the very first publications of ours written some years ago about the diversification analysis concept dated Feb 28, 2013, it seemed appropriate to continue to deepen the subject by bringing an example that is well suited to the circumstances. Today's production of drugs especially in the area of parenterals, imposes increasingly stringent quality requirements and in particular the ability to demonstrate as well as to document the adequacy of the processes inherent in the product functionalities. Not only do those needs directly involve the pharmaceutical manufacturer itself, but also the supplier of packaging components as a whole in the supply chain. As it goes, the drug primary packaging has always been one of the most critical factors, and nothing can be taken for granted. 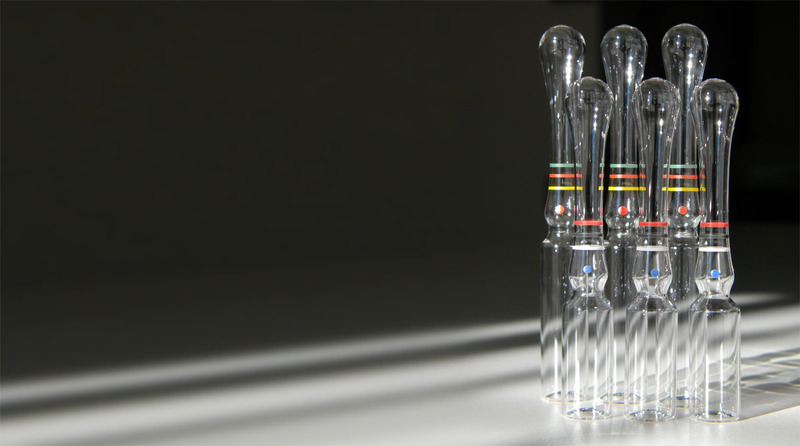 Empty closed glass ampoules must ensure a most adequate environment that protects the drug throughout its shelf-life, as well as providing reliable and safe grounds for packaging process. The ultimate result down the line must ensure the minimum possible impact upon delicate processes, like filling and sterilization. Crestani Srl and Sintetica SA, two like-minded companies which have successfully operated for years in the pharmaceutical industry both in domestic and international markets, believe that those objectives can be achieved only through a close and effective partnership. The ampoule supplier is actively trained on product requirements and the client is bound to receive benefit in the long run. The purpose of this exercise is to evaluate the effectiveness of the depyrogenation resulting from baking and annealing effected on ampoules at the end of their manufacture....and on a side note a validation protocol is well underway which to our mind, will eventually marvel us all. Most importantly, diversification culture is what actually takes place behind the line. Anyone is virtually responsible for shared values and ways of thinking and performing in work groups, teams and departments. Again, anyone is expected to maintain service-oriented attitudes and behaviours, thus making best use of companies' systems, technology and properly adequate training.